I have two questions about the walnut shown in these images. The thickness of these 8/4 pieces is wider toward the edges of the board. 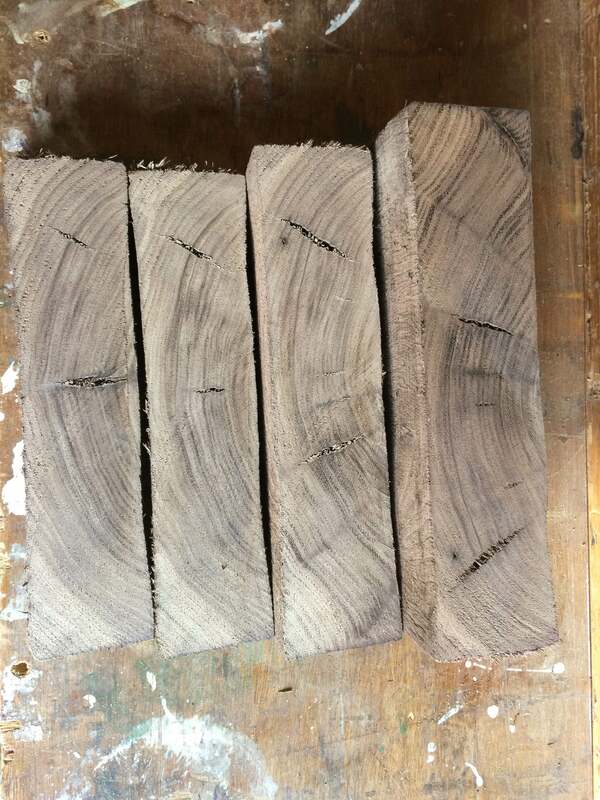 Is this typical of honey-combed wood? And secondly, is wood with this drying defect a complete waste? That is, if there is anything usable in it , would you expect it to crack even more? These are end checks. You need better end. Paging. I suggest two coats of ANCHOR seal. or the steamer was not at 100% RH because the steam was not injected in a trough with water in it. This is normal honeycomb in walnut when there is end checking. Pretty small trees you are cutting. That's the shape of wood you get with the shrinkage Gene talked about. 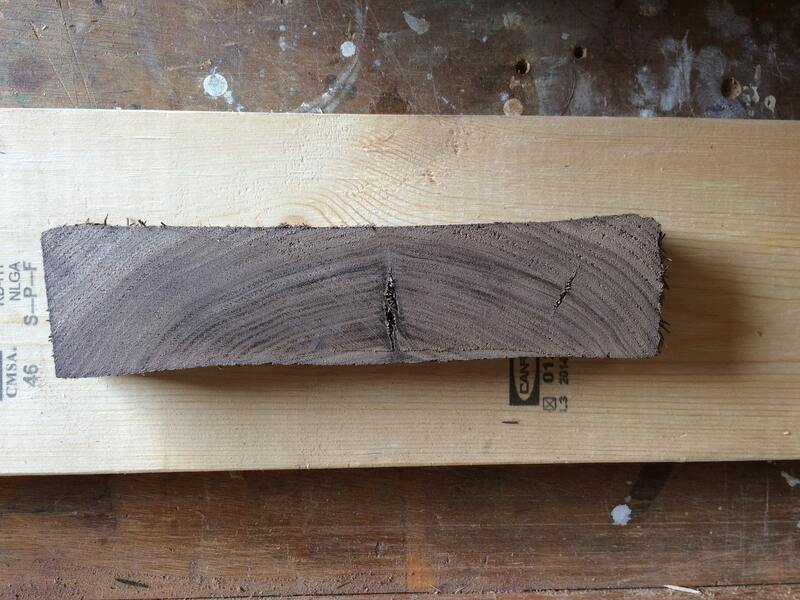 Cut the logs a little longer for better trimming results, and maybe don't let it sit around so long before cutting. I think small logs will check up sooner as well. These didn't come from limbs did they? I'm not in the logging business or drying business. I make wood turnings. I posted the question here because I knew I'd get the best advice here. Looks like the lumber was dried way too quickly. Was that purchased from a commercial kiln operation? Does not look good.